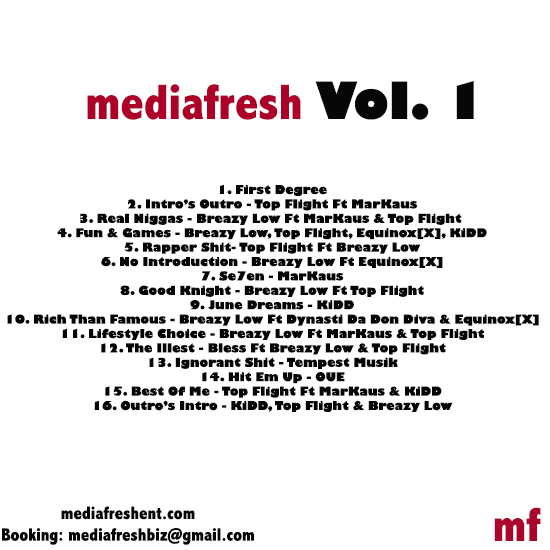 After months of hard work and dedication, MediaFresh Entertainment is proud to ​release its debut project Vol.1. Featuring an array of talented mc’s and producers from around the Des Moines area. A compilation of original and freestyle tracks from Top Flight, MarKaus, KiDD, Breazy Low, Bless, T3, Tempest Musik & Equinox[X]. 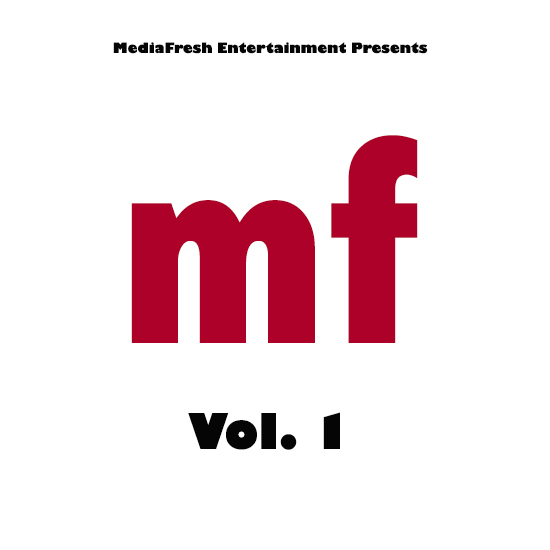 MediaFresh Entertainment is an indie label focused on bringing the best hip hop and soul music out of the midwest. Started in 2012, be on the watch for our upcoming releases and tour dates.